The American Association of Poison Control Centers (AAPCC) reports that calls to its 60 centers across the country are on the rise. About 90 percent of accidental poisonings occur at home and more than 50 percent of them involve children under the age of 6. But there are things fathers can do to avoid having their children accidentally ingest a dangerous substance. While many people believe that medications are the biggest threat to children, there are other household items that are equally dangerous. AAPCC president Sandy Giffin says that cosmetics and personal care products such as perfumes, nail polish, deodorant and soap as well as household cleaning items like laundry detergent and floor cleaners are also common among poison exposures in kids. 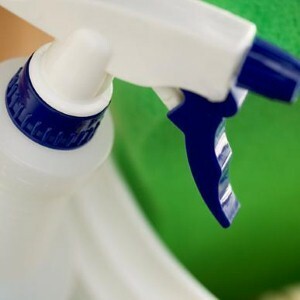 Among the tips experts recommend to keep your home safe from poison accidents are keeping potential poisons in their original containers, storing chemical and household products separately from food to avoid mistakes and childproofing your home. In addition to storing medications, cleaners and other potentially dangerous substances in drawers or cabinets fitted with locks or childproof latches, experts encourage parents to explore their homes on their hands and knees to find poison hazards their kids might encounter. "Prevention is the best medicine, but in the event of an exposure poison centers can be reached at 1-800-222-1222, 24 hours a day, seven days a week," said the AAPCC’s Giffin.